Approx 4.73 acres, partly fenced. Located 660 ft west of paved Sheep Creek Road. Manufactured home will need to have a perm foundation installed before close of escrow. 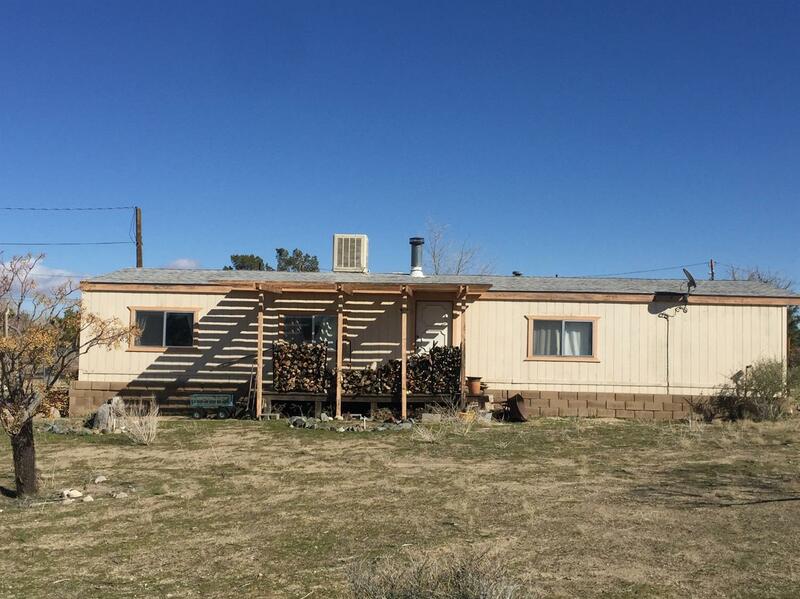 Three bedroom, 1-3/4 bath, wood stove, new carpet within the last 2 years. Check with Sheepcreek water co as to updates regarding the state water resources control board and any future impact that this may have on the water company in the future. Directions: Phelan Road, North Onto Sheep Creek Road, West Onto Shepard Road To Property.